It is calculated that the UK annually loses over £1 billion in GDP, due to false alarms and the subsequent downtime and loss of productivity. The potential cost savings from one prevented false alarm would pay for the UnigatewayX software. The MOTOTRBO Alarm Management Control System automatically dispatches messages to the right people at the right time. If an alarm is raised the Alarm Control System will immediately identify the available employees and escalate the alert until it is acknowledged, resolved and closed. Comprehensive handling of multiple alarms and alerts, all delivered to your MOTOTRBO digital two-way radios, mobile phones, workstations and email. 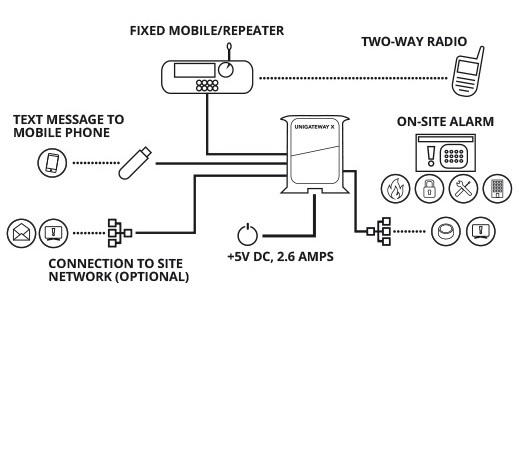 This system integrates with numerous systems and transports the alarm and status messages. For example, if a fire alarm is raised, a notification will be routed specifically to the fire response team. If the fire response team does not acknowledge the alarm, the announcement will be escalated to the next designated employee or workgroup, ensuring that the alarm is managed. The result: A Safer Work Environment and Increased Productivity with Intelligent Alarm Handling. By configuring the flow of emergency and technical alarms, organisations can get the most from the available resources. 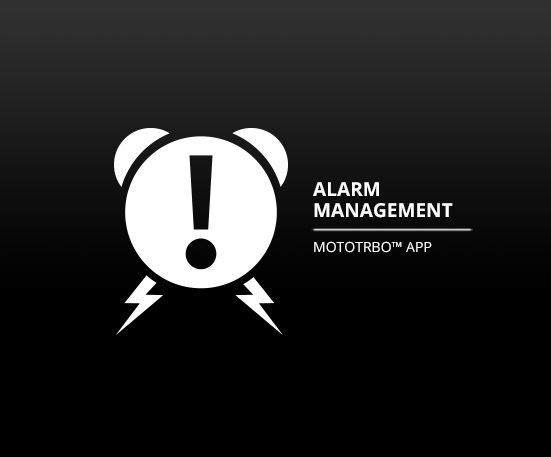 This MOTOTRBO Alarm Management software removes the dependency on control room operators to monitor alerts, allowing them to concentrate on other activities. You can, of course, opt out of these communications at any time, please 'click here' for further details. Established in 1987 DCRS, are a leading UK Authorised Motorola Solutions Platinum Elite Specialist, specialising in the Supply, Hire, and Maintenance of MOTOTRBO™ Two-Way Radio Communication Systems and Applications. The name MOTOROLA, MOTO, MOTOROLA SOLUTIONS and the Stylized M Logo are trademarks of Motorola Solutions Trademark Holdings, LLC.